There's no need to get copies of Canada Revenue Agency forms anymore when you file with TurboTax download. 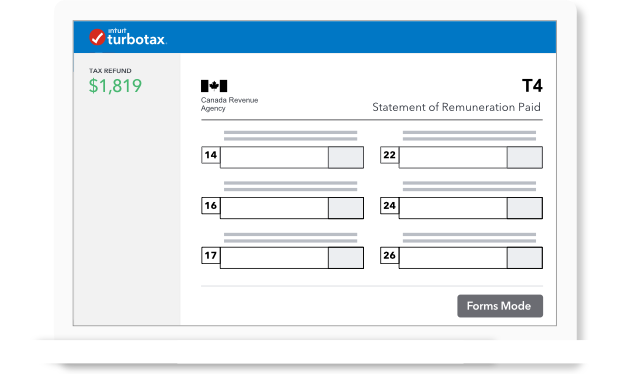 If you're used to the traditional format, it's really easy to switch to the familiar paper based CRA income tax forms for 2018 using our TurboTax download software. 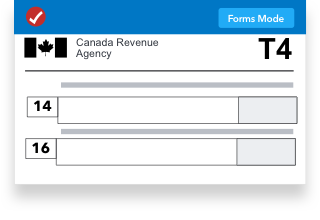 With Forms Mode, you can access the CRA tax forms for everything from TD1 and Revenu Québec forms, to Federal and Provincial income tax forms and schedules for every province and territory. TurboTax download software comes with Forms Mode for your convenience, but if you ever want to go back to filing your return with step-by-step guidance, you can easily switch back with the click of a button, and TurboTax will put your information in the right place on all the tax forms you need based on your tax situation. Schedule O Tax credit to help support caregivers (Formerly Business registry).